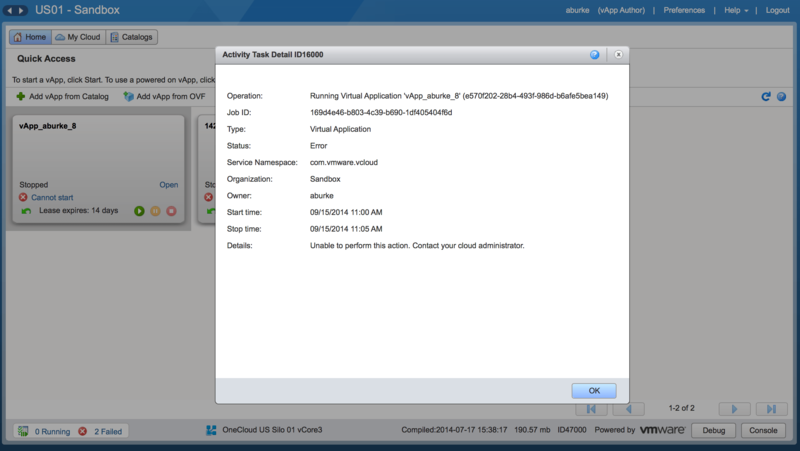 Being a VMware employee I have access to a few clouds for training, studying and proof of concept purposes. This is all backed by vCloud Director. We can pick any number of application templates (or create our own) and deploy these. In this case I wanted to deploy one of the Hands on Labs from VMworld and alter it a little bit. When I went to deploy HOL-1425 it failed about two minutes into it. vCloud Director is famous for giving very descriptive errors. “Unable to perform this action. Contact your cloud administrator.” See! An informative error. I jest. Whilst I was stumped about why my templates were not deploying I thought about the process as if I was doing it manually. After all, a template is just an automated process a human would do. When you deploy OVA’s you need a raft of parameters. Network settings, data stores, DNS, passwords. Wait, what was that? Password. 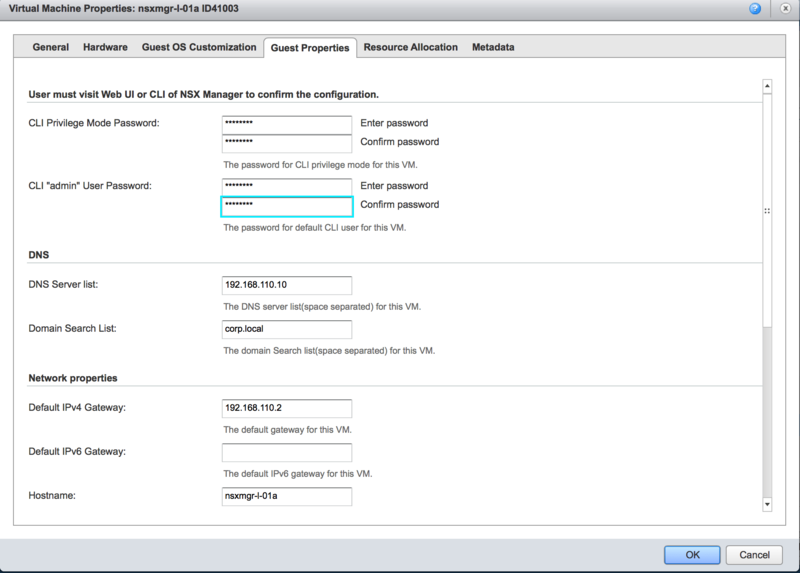 Whilst DHCP and storage are done as part of the template, I know NSX manager and vCAC require a root password. I double-clicked on my deployed template. I have a selected the NSX Manager VM. Right clicked on it and selected properties. From here I have clicked on the Guest Properties tab. This allows me to configure a root password. This template was not made by myself but I’ll assume here either a) The author forgot to add this or b) it is required every time. With the password field now filled my application blueprint successfully launched. Happy days. I am no expert in vCD and I am sure there is an exact reason why this happened but the 45 minutes I spent troubleshooting definitely helped me understand what is happening behind the automation!